Yamaha Motor Co., Ltd confirmed an agreement to continue in MotoGP with The Monster Energy Company as an Official Sponsor for a further two years. that of Title Sponsor for the Monster Energy Yamaha Tech3 Team. With four 'Monster Energy riders' within the two teams, this MotoGP partnership at the pinnacle of motorcycle racing spearheads a global Monster Energy-Yamaha alliance that stretches across multiple race disciplines and classes. "I'm very happy to be able to confirm this agreement with Monster Energy for our MotoGP program. As two of the most recognisable brands in the premier class of motorcycle racing we have enjoyed a highly successful partnership together in recent years. 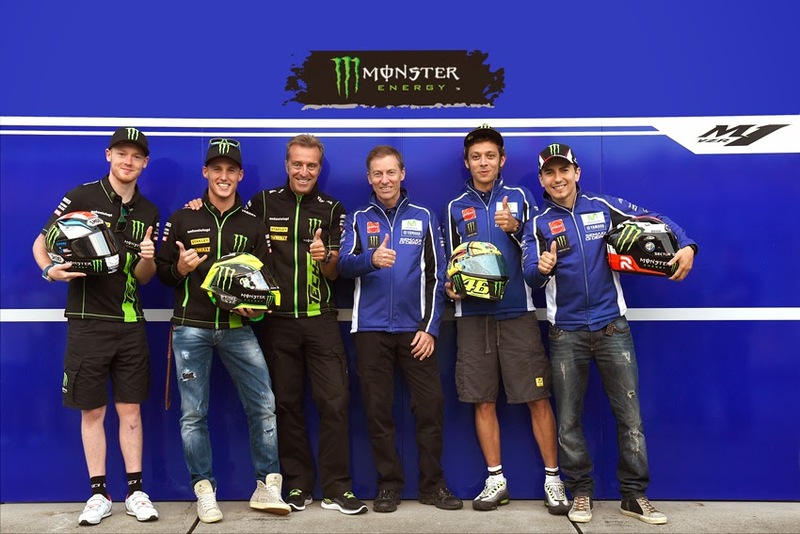 Monster Energy's sponsorship of both Movistar Yamaha MotoGP and also of Monster Energy Yamaha Tech3 holds special significance with the unique synergy between the two racing teams in the MotoGP class. Tech3 continues to provide a key role not just as credible protagonist in the fight for MotoGP honours but also as a nurturing channel for young talent for the Factory team. We look forward to developing and strengthening this three-party relationship even further into the future," said Lin Jarvis, MD, Yamaha Motor Racing. Herve Poncharal, Monster Yamaha Tech3 Team Principal, added, "I am truly delighted to be able to announce that the Monster Energy claw will continue its strong presence on the Tech3 Yamaha MotoGP bikes for a further two seasons in the premier motorcycle racing series. It has been a perfect partnership that began in 2009 with many successes accomplished together and it is fantastic to be able to confirm that our long standing adventure will continue into the future. The company have proceeded to grow from strength to strength in recent years and it's very important to have their backing to allow us to field the young, up and coming riders as we are currently in our sixth season together. Now, we look forward to a bright future and again, it is simply fantastic to have a company as elite and iconic as Monster Energy carrying on their long term partnership with us."